In the fourth pAsuram, AzhwAr says “You are the one who granted greatness for brahmA, ISAna et al. Similarly you should fulfil my desires too as I cannot do anything on my own”. Subsequently, AzhwAr says “How will I who have nothing in me, reach you who are greater than all, who are obedient to your devotees and who are greatly enjoyable?”. Fourth pAsuram. In the previous pAsuram, it was said that the svarUpam (true nature) is at emperumAn‘s disposal; here it is said that the glories which result from such svarUpam are also at his disposal. kOvalanE – oh obedient krishNa! 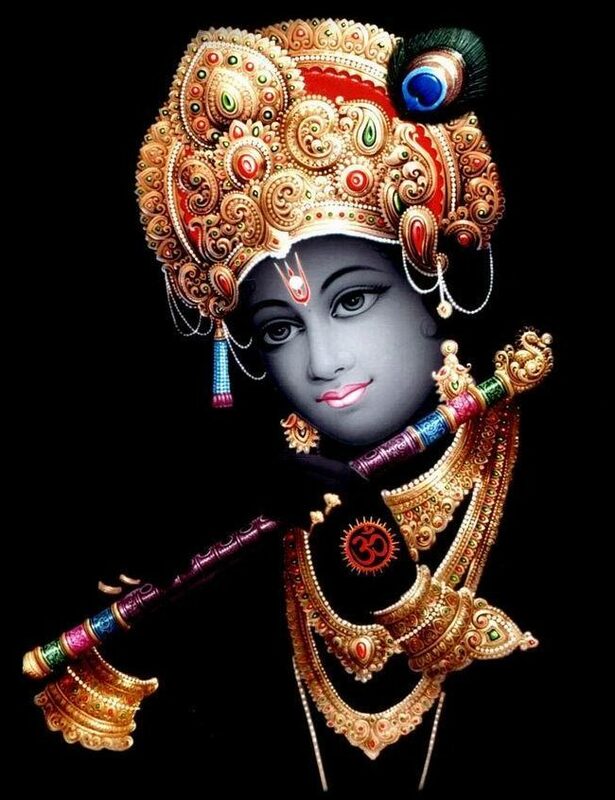 Oh obedient krishNa who is having hair which is decorated with fresh, blossomed, honey-laden, beautiful thiruththuzhAy and who manifested that beauty to me! You have the world with three classifications, which is having distinguished beauty, at your disposal; in that world, the three-eyed rudhra who is appearing to be great in gyAnam and Sakthi, and the famous lord of such rudhra who is well known as brahmA, are at your disposal; group of dhEvathAs starting with indhra who is having vajra which is greatly radiant and unconquerable by enemies, in his hand, are at your disposal; how will I reach you? enguth thalaippeyvan nAn – If a weak person is told “lift the mountain”, would he able to complete that task? ezhil mU ulagum nIyE – all the greatness in this three-fold world is at your disposal. angu uyar mukkaN pirAn – In that universe, in comparison to other dhEvathAs, rudhra has special greatness. That greatness, is at your disposal. pirama perumAn avan nI – brahmA has the greatness of being the father of such rudhra, and the lord of the fourteen layered universe. That greatness, is at your disposal. vem kadhir … – As said in bruhath SauthrAmaNi “vajra hastha: purandhara:” (one who has vajrAyudha in his hand and is known as purandhara) – all the greatness of dhEvathAs starting with indhra who has hot, radiant vajra, are at your disposal. kongu alar … – You who have at your disposal, the greatness of all entities other than yourself, have placed your greatness at my disposal. Oh obedient krishNa who is having hair which is decorated with fresh, blossomed, honey-laden, beautiful thiruththuzhAy and who manifested that beauty to me! By “kongu alar thaN am thuzhAy mudi“, the overwhelming enjoyability is explained; by “ennudaik kOvalanE“, obedience towards followers is explained. This entry was posted in thiruvAimozhi, thiruvAimozhi 7th centum on September 19, 2018 by Sarathy Thothathri.